As you mingle your way through the banquet, talks of family, food and music redirects to your vintage Elizabethan corset. A dreamy rounded neckline and beautiful floral embroidery throughout, eyes light up on every onlooker. 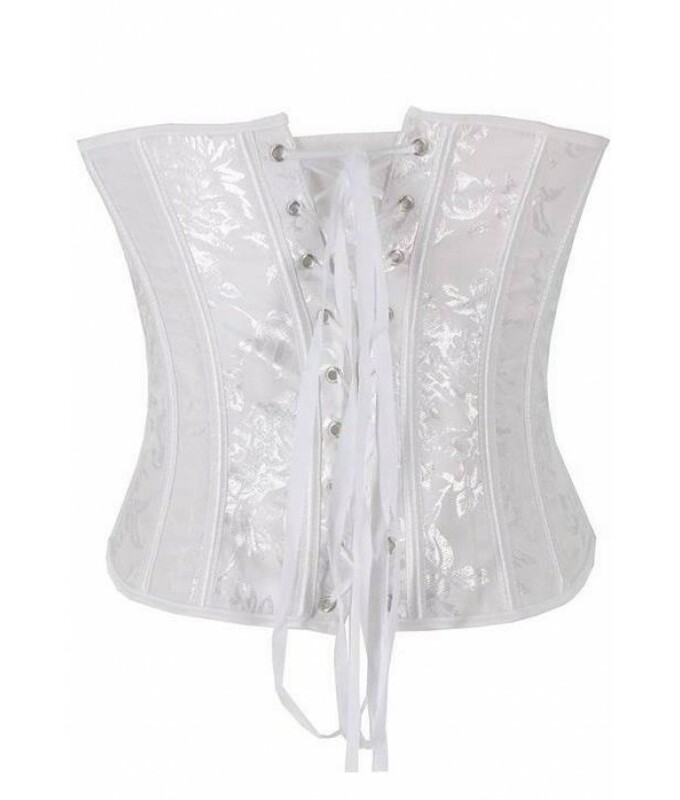 Feel at ease with the generous lacing and modesty panel on the back of the corset. Tailored to perfection and utterly feminine, this corset will create memorable moments forever. That's what makes this piece stand apart from your other tops, this is the one you will be wearing when you look back in time to the most memorable, romantic and enchanting days and nights of your life. It's a historic look that will always remain current. - Vintage inspired Elizabethan corset. - White verdant brocade detail through-out. 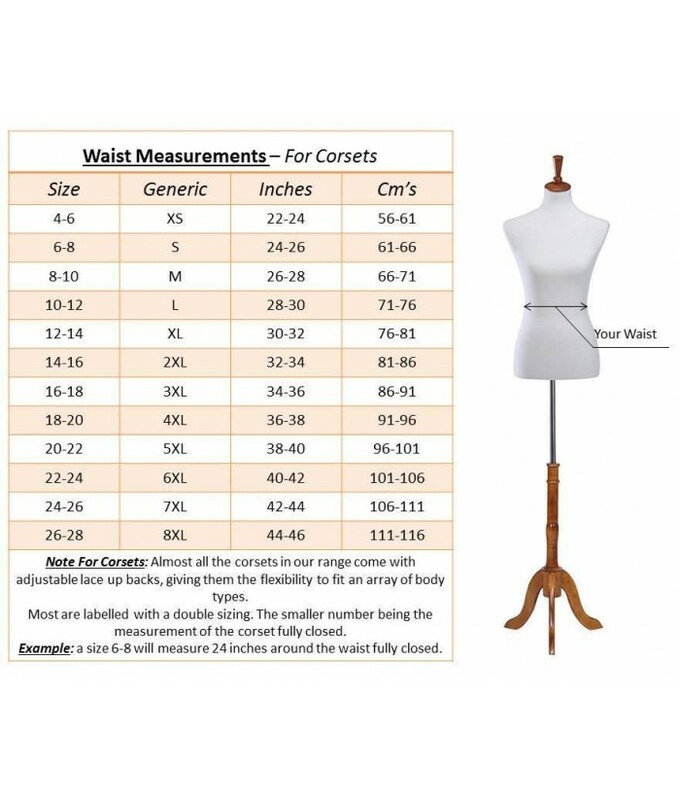 - 3 inch modesty panel. - Suitable for all events.